Race courses have evolved over the past few years. They’re more technical, steeper, and simply more challenging to ride. But instead of quivering in our boots, we saw this as an opportunity to make something special—something that both World Cup athletes and XC riders alike can instantly feel the benefit from. 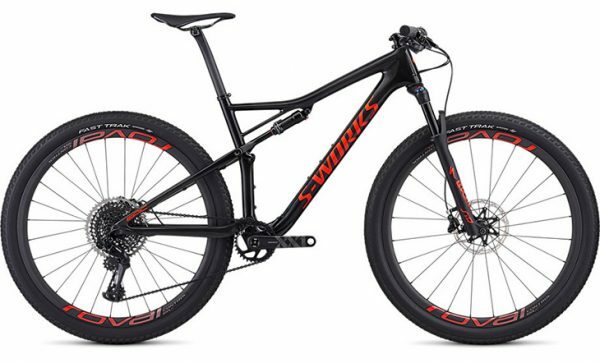 We looked at the sum of parts that make a bike handle well, like the head angle, reach, stack, chainstay length, fork offset, etc., and reevaluated all of it. Increasing the reach made a bike that was more stable at speed and generally more comfortable to ride. Dropper posts? Yep, those fit, and not just a short-travel XC option, but full-length droppers that fit in the 30.9mm seat tube. Head angle? We slacked that out, but not without evaluating the overall handling package. 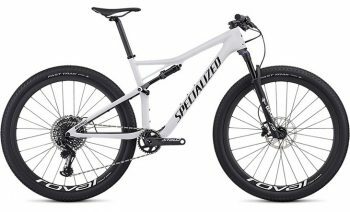 It now lands on a custom offset, 42mm fork that works with the slacker head angle in order to behave itself in tight corners and through switchbacks. And while stiffness, Brain technology, and geometry features are cool and all, we know what you’re thinking, ”What about weight?” We’re glad you asked. With the goal of the new Epic to be the fastest XC mountain bike we’ve ever made, weight was at the top of our priorities list. We started with an efficient frame layout and tube shapes that feature clean cable routing, integrated channels through the shock extension, straight tubes with less curves, and optimized torsion profiles in every section. And, if you’re curious, this weight savings is equivalent to shedding a chainstay and shock extension from the previous Epic—nearly 350 grams.